KEY EQUIPMENT, 2 ADDITIONAL KEYS FOR SINGLE KEY SYSTEM Provides two additional spare keys for a total of (4). (Keys will be cut but not programmed) NOTE: programming of keys is at customer's expense. Programming keys is not a warranty expense. Find a great sale price on this 2017 Chevrolet Express Passenger RWD 3500 155 LT w/1LT at Power Ford in Lincoln City, Newport Oregon. This 2017 Chevrolet Full Size Van / Express is located at our Ford dealership in Lincoln City or Newport. We also serve the cities of Lincoln City, Toledo, and Waldport. 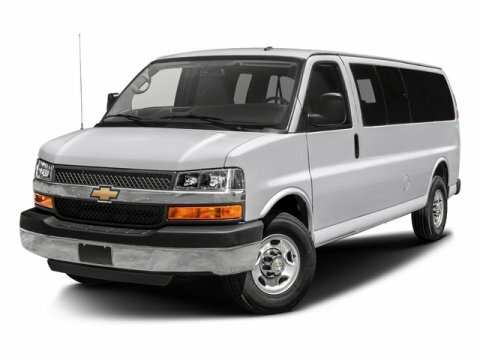 So if you're looking for a great price on this 2017 Chevrolet Express Passenger RWD 3500 155 LT w/1LT or just looking to get an auto loan for the vehicle you want... you've come to the right place! Power Ford.